Have you ever thought of controlling your Mobile actions just by simply shaking it in a particular way ? wont it be nice and fun to control your mobile phone’s actions just be shaking it ? If you are interested in it then G-Trigger is just for you. 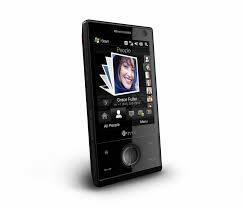 The HTC Diamond Mobile Phone used to have this technology first. G-Trigger was build to detect the shake in Windows Mobile Phones. G-Trigger will enhance the G-Sensor ability of your Mobile Phone. You can start a new application just by shaking your Mobile Phone in a Particular direction. You can assign the shake direction from left to right, front to back, Top to bottom and Vice-Versa. You only need to remember which particular shake will start which application, then using G-Trigger will be fun and a time saver. Pocket Music, Manila (TF3D) Music Tab. You can dial a number, launch Programs, answer/Reject incoming call, Activate a profile, volume control, Media Controls, WiFi/Bluetooth/Phone radio On/Off/Toggle, turn screen On/Off, send Keys, Save Screenshots (in BMP/JPG/PNG/GIF formats), Change Wallpaper (Today Screen, Manila Home & S2U2), close/minimize active window, Show/Hide/Toggle On-Screen Keyboard, Power Off/Power On/Long Press Power Button etc. Transfer .cab file to any location in device. Run the .cab file and install application to device storage. Run the “G-Trigger” shortcut from programs. Click “New” button on “Action” tab. Enable the check boxes for the actions you want to activate. Assign any action by clicking “…” button on the right side of action text box. Click “Save” button on edit profile page, again click “Save” button on main page. Click “Start” button to start the service. G-Trigger is compatible with Mobile Phone running Windows Mobile OS 5, 6 and above. Also it works with HTC Touch Diamond, HTC Touch Pro, HTC Touch HD and Samsung Omnia (i900/i910). It needs .NET Compact Framework 3.5 to work properly. This wonderful shake detector Application for Mobile Phones is a freeware. Shake and Enjoy.